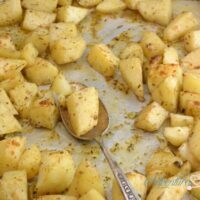 So far I have used myOne of my favorite side dishes is roasted potatoes. 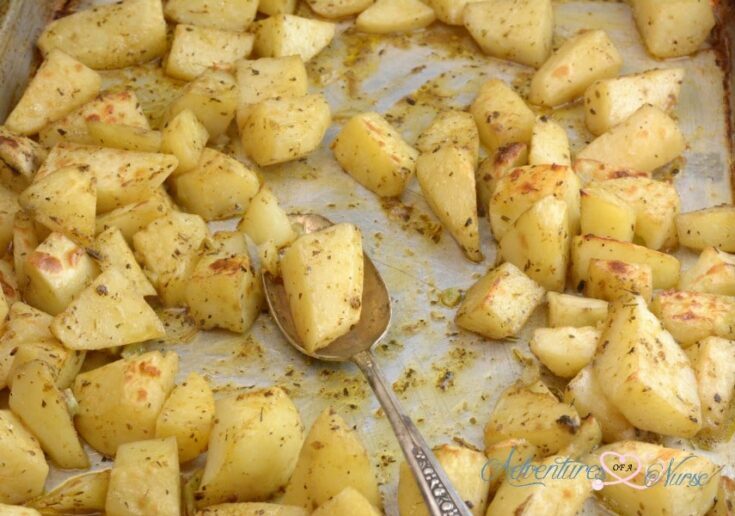 Making Garlic and Herb Roasted Potatoes in the Sous Vide infuses the spices right into the potatoes. A crunchy outside with flavor bursting soft inside. These potatoes were completely amazing. I also loved My Sous Vide Starbucks copycat Egg Bites. I can’t wait to bring you more Sous Vide Recipes I am completely in love with my Sous Vide. Directions: Peel and cube your potatoes. Melt butter set aside. Mix together all spices and mix in with the melted butter. Place potatoes in two zip lock baggies. Pour over butter and spices into each bag. Coat Potatoes. Set your Sous Vide to 183 degrees and 1 hour for time. Place your Ziplock bags into the sous vide removing air and sealing bags. After one hour remove bags and pour onto a baking sheet. Place under the broiler for about 2-3 minutes or until golden brown. To save for later do not put in broiler do a Quick chill in ice water for 1 hour and refrigerate for up to 48 hours or store in freezer until ready to use. Mix together all spices and mix in with the melted butter. 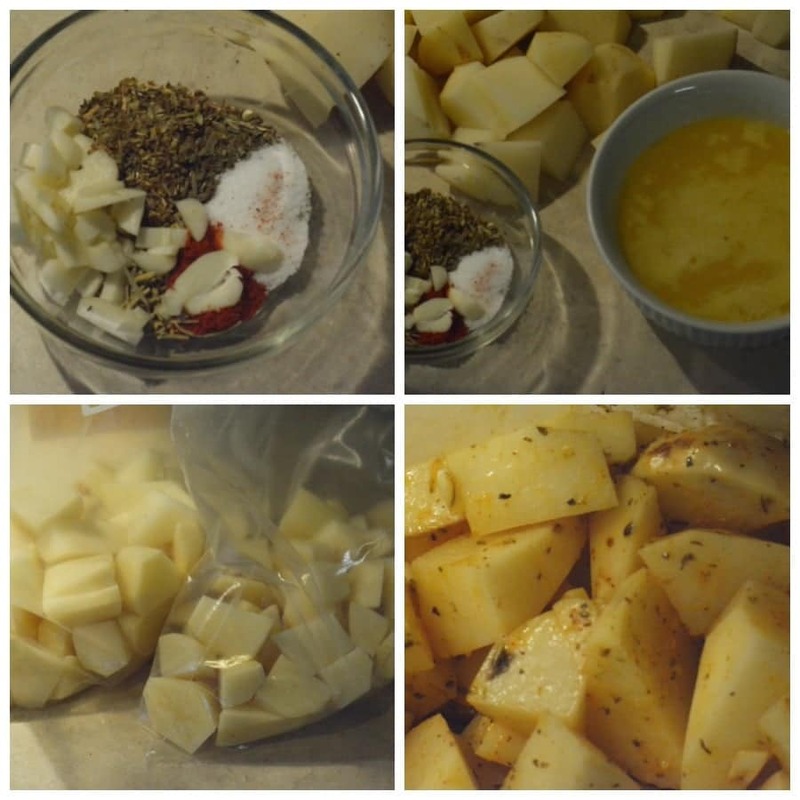 Place potatoes in two zip lock baggies. Pour over butter and spices into each bag. Coat Potatoes. Set your Sous Vide to 183 degrees and 1 hour for time. Place your Ziplock bags into the sous vide removing air and sealing bags. After one hour remove bags and pour onto a baking sheet. Place under the broiler for about 2-3 minutes or until golden brown. To save for later do not put in broiler do a Quick chill in ice water for 1 hour and refrigerate for up to 48 hours or store in freezer until ready to use.